David Meade thrills the audience at the ultimate science party! 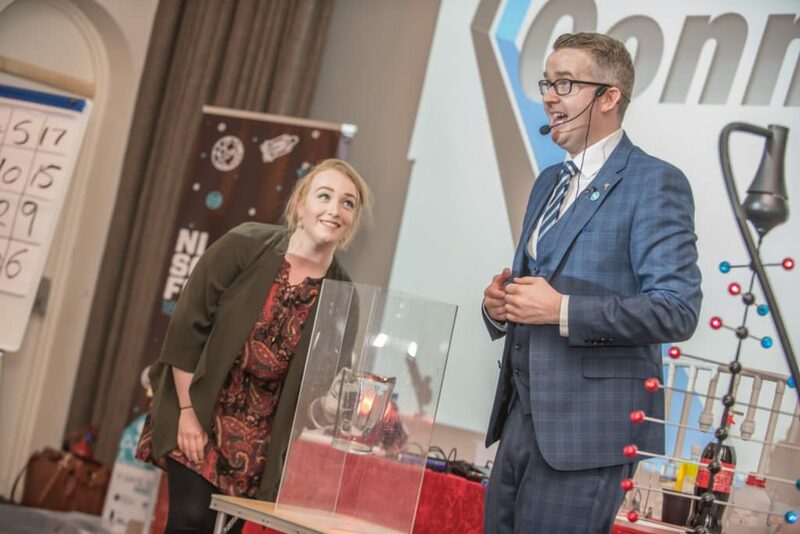 For one night only the Ulster Museum transformed into LaTe LaB2 – Belfast’s ultimate science party! With breathtaking live experiments, spectacular science shows and mercurial music. An evening of chemistry cocktails and bright phosphorous sparks. The night guaranteed to bring out the best geek chic’s from around the country. David was delighted to be a part of it and to showcase his specifically themed science session.